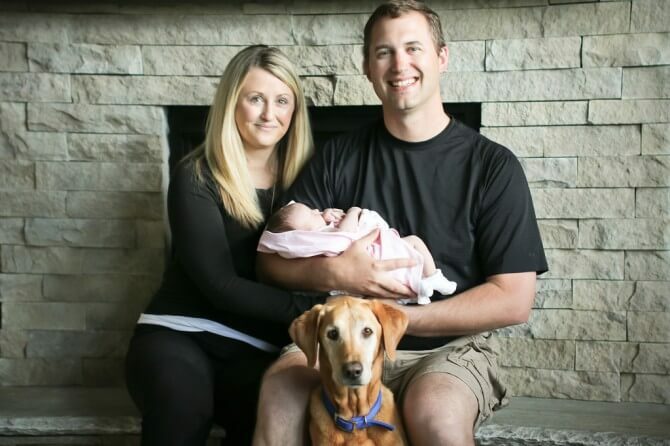 Dr. Leibsle graduated from the University of Wisconsin – Madison School of Veterinary Medicine in 2003. He completed the in-hospital, surgical and medical internship at Peterson & Smith in 2004, taking particular interest in the sports medicine, emergency medicine and surgical training portions of the program. After accepting a one-year position at Equine Veterinary Associates in Delavan, Wisconsin to gain additional training in equine surgery, dentistry, reproduction and ambulatory practice, Dr. Leibsle took his first associate veterinary position in 2005 at Sawtooth Equine Service in Bellevue, Idaho. Sawtooth Equine, a full-service equine referral hospital, gave him the opportunity to continue to practice surgery and medicine on the same caliber of elite equine athletes as were commonly found in Ocala, but with the benefits of living in a mountain resort town. After 2 years of enjoying everything a lifestyle in the Idaho wilderness had to offer, he was then offered the opportunity to return to his hometown of Elkhorn, WI to practice at the Elkhorn Veterinary Clinic, founded in 1951 by his grandfather Dr. Richard Tully. The clinic, now owned and operated by his uncle, Dr. Rick Tully, had grown from his grandfather’s solo dairy practice into one of the largest primary care clinics for large and small animals in the state of Wisconsin. He joined the large animal service of Elkhorn Vet and focused his practice on dentistry, emergency medicine, surgery and sports medicine in horses as well as emergency medicine and general surgery in dairy cattle. In 2009, Dr. Leibsle also became the first veterinarian in Wisconsin to achieve diplomate status by earning his board-certification in Equine Practice from the American Board of Veterinary Practitioners. After 5 years in ambulatory practice, however, the urge to return to the mountain west proved too great and he returned to Idaho in 2011 as the Deputy State Veterinarian at the Idaho State Department of Agriculture in Boise. Regulatory medicine brings an entirely different, but interesting, perspective to the veterinary profession and, despite no longer seeing patients, Dr. Leibsle now manages and implements statewide disease surveillance, supervises the Idaho Animal Health Lab, conducts investigations and educates law enforcement on animal welfare and abuse cases and also advises elected officials in state government on legislation pertaining to animal health. However, he has still managed to stay true to his equine roots and the racehorses that were the foundation of his training at Peterson & Smith, as he is also completing his second season as the Idaho State Racing Commission’s head veterinarian, overseeing all horse racing at Les Boise Park in Boise and Gem County Fairgrounds in Emmett. Dr. Leibsle lives in Meridian, ID with his wife Amanda and his brand new daughter Allison, born June 8, 2014. When he’s not spending time enjoying being a new dad, he is most often found on a golf course, chairlift, ski boat or in his woodshop.